The Florida Motorcycle Accident Attorneys of Gilman Law LLP are Here to Help You. Motorcycles have seen a surge in popularity in recent years and there are favored routes for Florida enthusiasts, from the Daytona Beach loop to a Gulf Coast cruise to a trip to the Keys. However, because motorcycles are relatively small in size, they are less visible to other drivers on the road. As a consequence, even motorcyclists who carefully follow the traffic laws are more vulnerable to accidents than people traveling in cars and trucks — and each year, thousands of Florida motorcyclists are injured in collisions. 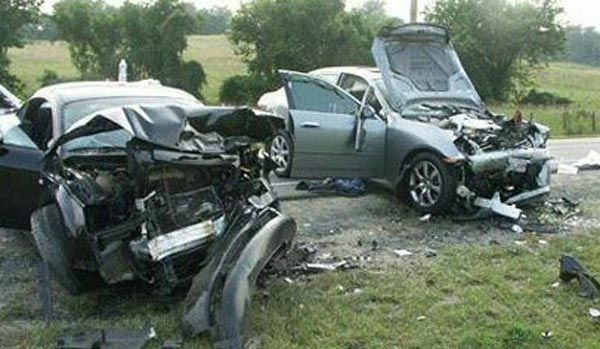 If you’ve been injured by the carelessness of another motorist, Gilman Law LLP can help. We are a Florida personal injury law firm with a team of experienced motorcycle accident lawyers, and we are committed to obtaining the best possible financial results for the victims of motorcycle crashes. We have achieved notable successes in winning large settlements to ensure our clients can fully recover after a serious personal injury. 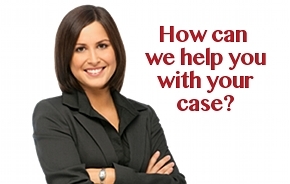 Fill out our online form or call 1-800-LAW-INFO (1-800-529-4636) for your free case evaluation. Our motorcycle accident attorneys serve clients across Florida, including Naples, Fort Myers, Marco Island, Cape Coral, Lee County, Collier County, Everglades City, Golden Gate, Immokalee, Bonita Springs and Sanibel. The number of people injured and killed in motorcycle accidents in Florida has increased dramatically in the last decade. Motorcycle crashes in Florida have more than doubled since 1999–and the number of motorcycle fatalities has tripled. More than 8,500 people were injured and 540 people died in motorcycle accidents in Florida in 2008, according to the Florida Department of Highway Safety and Motor Vehicles. The number of fatalities represents an increase of more than 400 percent in 10 years. Nearly one in five traffic fatalities in Florida in 2008 was a motorcycle crash victim. Motorcyclists obeying traffic laws and wearing protective helmets are still at a big disadvantage in a collision with a car or truck, and the injuries can be catastrophic. They can include brain damage, head injuries, broken bones and burns. Even a seemingly small leg and foot injury can costs thousands of dollars in medical bills. Motorcyclists’ legs and feet are vulnerable in a wreck, and those injuries can be extremely costly. An August 2008 federal study found that motorcyclists with a single leg or foot injury had a median hospital charge of $20,745. Motorcyclists who had a lower-extremity injury and other injuries had median hospital charges of $56,288. Can you cover those kinds of hospital bills on your own? Gilman Law LLP represents injury victims in Ft. Myers, Naples and throughout the State of Florida. Our Florida lawyers focus on the needs of motorcycle accident victims and are skilled at analyzing the factors that contributed to an accident to ensure that justice is served on behalf of our clients. While motorcyclists can be at fault in accidents, many times other drivers cause accidents involving motorcycles. Half of all motorcycle crashes are caused by the failure of other motorists to detect the motorcyclist. Federal studies show that in 50 percent of all motorcycle crashes, the primary contributing factor to the accident was human error on the part of the driver of the other vehicle. There are multiple explanations for these accidents. Many drivers of passenger cars and trucks involved in crashes with motorcycles do not see motorcyclists because of the motorcycle’s relatively small size. Even if motorists check their mirrors before changing lanes or turning, they may not see a motorcycle in the car’s blind spot, and an accident may occur. Drivers often pull out in front of a motorcyclists simply because they not see them. 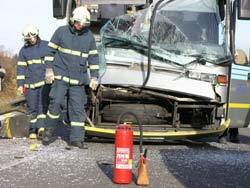 Many accidents occur at intersections or when cars pull out from side roads. The number of people injured in motorcycle accidents increased by 4 percent in 2008 in Florida, claiming 8,519 injury victims. 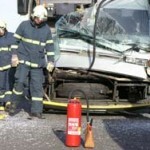 About 60 percent of those injured were between the ages of 25 and 54, and more than 90 percent were males. Motorcycle accidents more than doubled from 4,451 in 1999 to 9,618 accidents in 2008. Of the 540 motorcyclists and their passengers who died in Florida in 2008, a third were not wearing helmets. Head injury is a leading cause of deaths in motorcycle accidents. Nationally, the number of people injured in motorcycle accidents has increased by 110 percent in the last decade, even as injuries in motor vehicle crashes has declined since 1999, according to the National Highway Traffic Safety Administration. While injuries increased in every age category, the largest number of motorcyclists injured each year were ages 20-29. Two-thirds of the motorcyclists injured were involved in crashes in daytime and about a third were injured during nighttime accidents. More than two-thirds of the motorcycle accidents causing injuries occurred from April through September, which is the high riding season for motorcyclists. Motorcyclists have the same rights as any other person on the road, and they deserve an aggressive lawyer to fight for those rights. 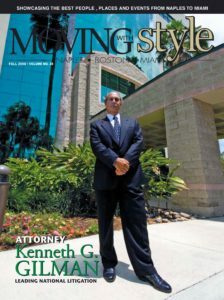 While the Florida motorcycle accident lawyers in our firm recognize that no amount of money can compensate for the pain and suffering from a serious accident or loss of a loved one, a fair settlement will allow an accident victim and their family to have the financial security to maintain a good quality of life. If you or someone you love has been injured on a motorcycle through the fault of others, we urge you to contact one of our Florida motorcycle accident lawyers to protect your rights. Gilman Law LLP is a Florida personal injury law firm here to help. Please fill out our online form, or call 1 800 LAW INFO (1-800-529-4636) to discuss your case with one of our experienced motorcycle accident attorneys. This entry was posted in Motorcycle Accidents on January 13, 2011 by admin.